With Mother’s Day just around the corner, today we’re sharing the perfect gift idea for all the mothers and mother figures in your life—one of our Live Beautifully album bundles! 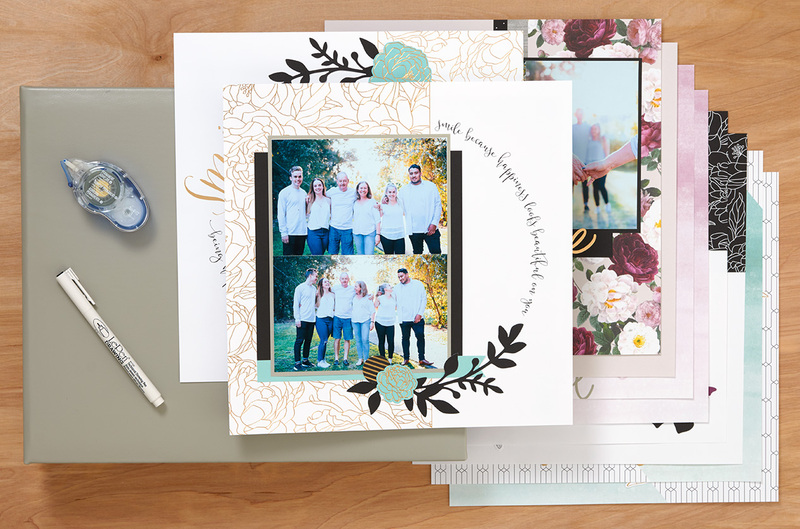 These bundles come with an album, journaling pen, adhesive, and our new, limited-time Cut Above® Live Beautifully layout kit, which has everything you need to make five layouts, including base pages, pre-cut pieces, stickers, and photo placeholders. 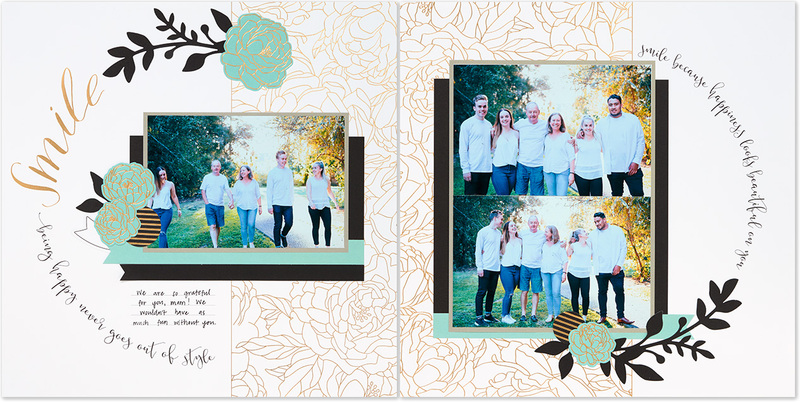 There’s no cutting or stamping required—all you do is follow the photos and instructions to attach the pieces and stickers to your pages! 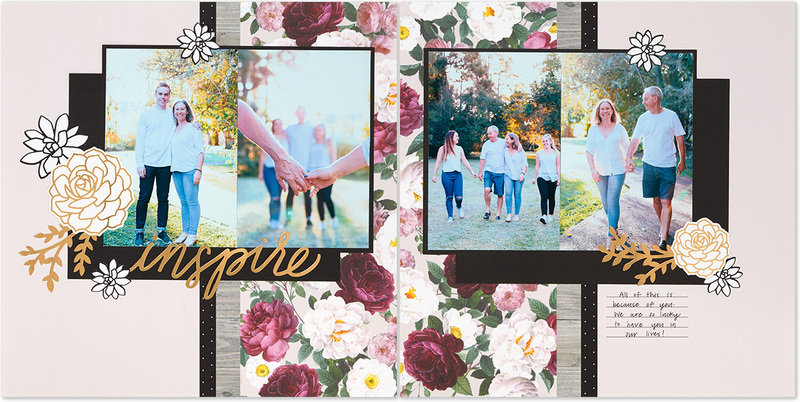 Each of the layouts can be assembled in 15 minutes or less, meaning you could easily use the kit to make a personalized gift. You could either preserve some photos that are special to your mother, or make the album a tribute to her as a mother. 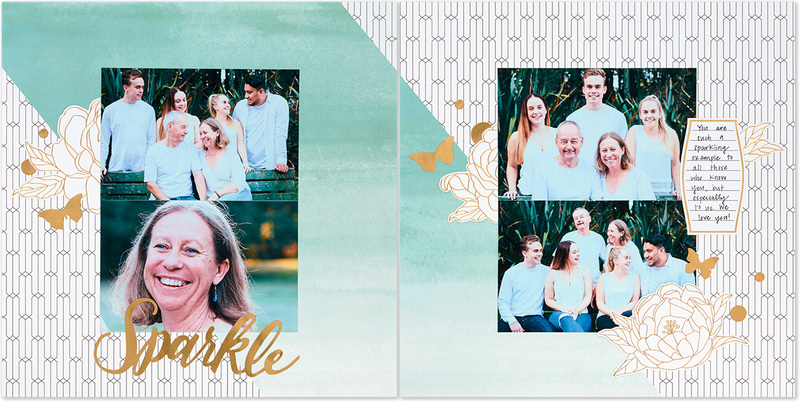 The Live Beautifully kit is all about celebrating those who inspire and uplift us, so you could write down your thoughts about her, and even have your siblings pitch in! 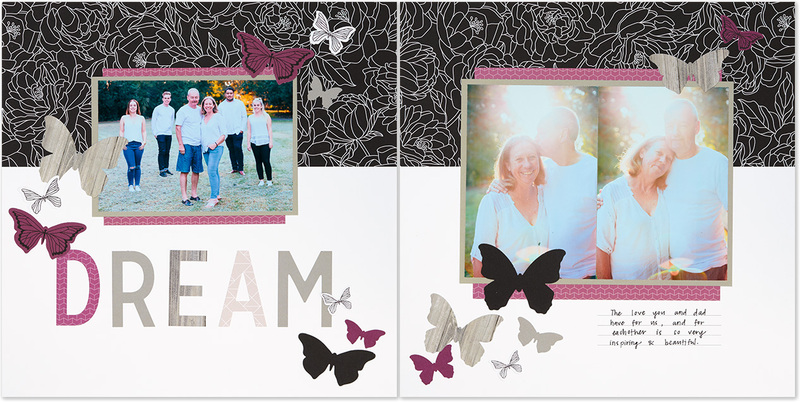 Here’s another idea: If your mother loves scrapbooking, you could give her the bundle so she can enjoy a fun, easy scrapbooking project. You could even give her a “scrapbooking night” where you can assemble the layouts together while chatting and snacking on sweets—any mom would love that quality time, especially while revisiting old photos and happy memories. 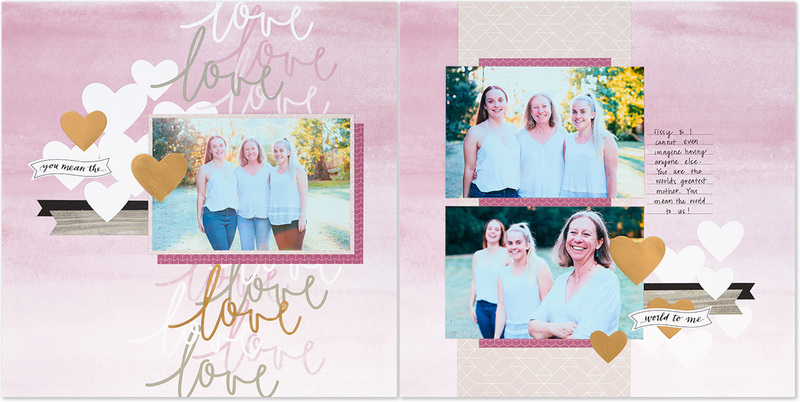 Whether she creates the layouts herself or receives them in a completed album, your mother will love receiving this bundle. And because you save 20% by buying the kit in a bundle, you are also getting a great discount on the perfect gift! It’s a win-win! Order your bundle today, and show your mother how much you appreciate her! Just put together my bundle love the page layouts. Will be doing many more. As we get older we are trying to do things alot easier the things we love to do. Absolutely love CTMH. I love love love this. So easy to use. Thank you for thinking of the beginners and new ones to card making and scrapbooking. As soon as I saw this kit I knew it was perfect for my Mum, she got her kit earlier this week, just in time for Mother’s Day. I absolutely love these kits. I love the Live Beautifully paper. It is gorgeous. I got mine and went to work. Got them all put together, including the mini album for my granddaughter s graduation. Soooooo much fun!